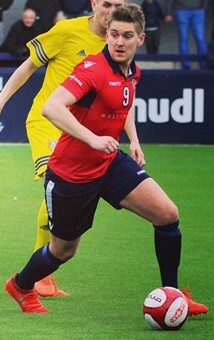 Striker who joined from Colne in December 2016. Scored 13 times in 17 games for Hyde in 2016/17 to be top scorer. Also been with 1874 Northwich.